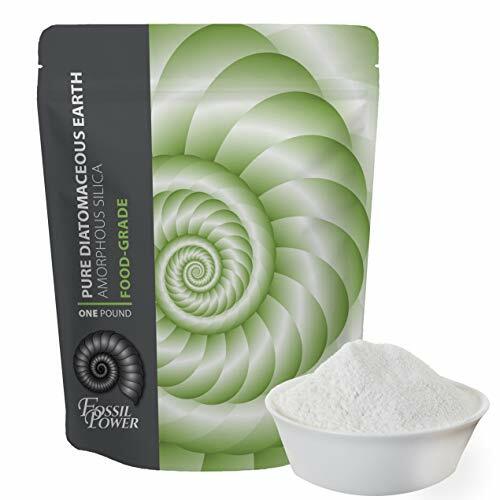 Diatomaceous Earth heals the body of its many possible disorders, ailments and disease by addressing deficiencies and safely cleansing it of harmful toxins and waste. If gone unchecked the continued accumulation of such toxins are known to cause an entire laundry list of health related issues and complications many of which lead to pain, discomfort and an overall decline in stamina and function. 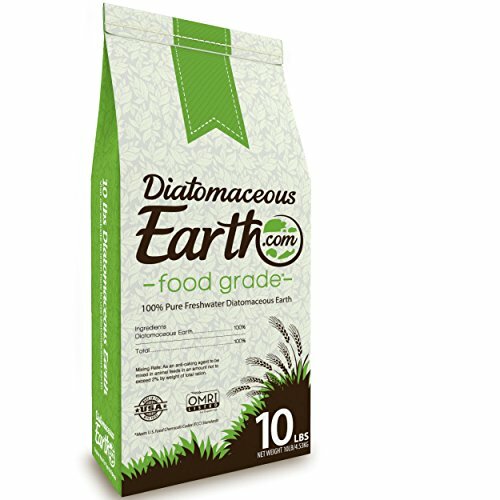 Food grade Diatomaceous Earth is currently being used for the purpose it was originally intended. After an appropriate amount of time to study its affects DE has proven to achieve great results. 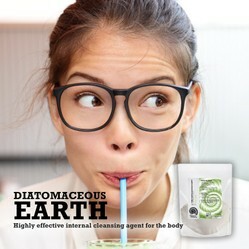 Diatomaceous Earth is a refined natural substance showing significant ability to cleanse and detoxify the human body making it possible to generate new healthy cellular tissue. Regular use improves cellular function leading to a large range of beneficial effects greatly improving the overall health and well being of those using it. Throughout this blog I will cover the many pleasant rewards one can expect from including this simple change in their everyday lifestyle. DE is a powdery soft porous sedimentary deposits of fossil remains from diatoms. What are diatoms - single celled alga with a cellular wall made up of silica. As mentioned above, DE is a very porous substance that when ingested absorbs waste in the colon removing it with regular elimination taking with it toxins living in the buildup of the colon walls. DE detoxifies the body, kills parasites and illness causing viruses as it cleans not only the colon but the blood stream giving it a far greater reach than do other methods of colon cleansing alone. DE is inexpensive, in fact it is down right cheap. Twenty dollars worth of this product will last an entire family for months, even if sprinkled around the house to kills bugs in the home and on pets. When using DE for internal cleansing you can expect to eliminate odors, minimize gas, renew the digestive tract, boost liver function and health by absorbing harmful toxins in the blood stream the liver would other wise absorb. Start using one teaspoon, after one week increase to one tablespoon, of DE to water, stir and drink down with a straw, it is not bad, in fact I find it virtually tasteless drinking it quickly through a straw. Stir constantly, keep straw at bottom of glass and drink quickly for painless dosing. It really isn't bad at all. Do this everyday in the morning for one month. Follow the instructions on the package for more detailed and personalized information. Note - Some people mix it with juice, I do not drink juice therefore simple water for me. Have I made my point as to how simple this is??? DE kills fleas on pets and around the home safely. DE has earned a named for being a natural insect killer eliminating ants, bed bugs, crickets, aphids, roaches, fleas and more. It works at a microscopic level with its sharp edges that are harmful to the insects tiny exoskeleton structure and yet never harmful to use humans. These dirt particulates are razor sharp edges to the tiny bugs, they eat the dirt and it dehydrates their little bodies in no time at all. The entire process is mechanical and can only damage the bugs, when it comes to humans it merely cleans our intestines. When you buy food grade DE you are using a chemical free organic bug killer, something we can all feel good about. Pets can eat DE, simply sprinkle on their food or add to water to insure your pets are free of parasites. This is a safe non-chemical way to ward of internal parasites. Sprinkle Diatomaceous onto and into your pets coat of hair to kill fleas on your pet. As mentioned before always consult the packaging for instructions. This powerful little fossilized algae offers many other desirable results when taken orally as a supplement. Silica, an important component of DE increases synthesis of collagen and elastin aiding in the health and beauty of our skin reducing the effects of aging, wrinkles and lines. The new surge of collagen also helps with hair growth and strength, it helps strengthen bones, teeth and gums. A study done in 2007 was published in the Journal of Nutrition Health and Aging. The study reported that dietary silicon, as in food grade DE, is beneficial to connective tissue of bones and the bones as well. DE helps prevent loss of bone mass (osteoporosis) the silent epidemic of the 21st century. The silica in DE helps with joint formation and bone metabolism suggestion that over the past 30 years a positive association with the intake of dietary silicon results in better bone mineral density hence better joint and bone health. I personally put DE to the test, as I do any product I promote. I took a teaspoon in the morning and one at night. I found it to eliminate the pain and stiffness I was struggling with in my hands, I type a great amount! In fact I woke in the mornings pain free, which was a huge surprise. I had a happy burst of energy each time I took it, the energy lasted throughout the day. My daughter asked me, "Mom why are you so happy did you win the lottery or something?" I am basically a happy person but this stuff had me dancing around and singing without thinking about it. My hair began to grow faster, stronger and shinier, thank goodness I have issues with hypothyroidism. My nails began to grow faster and became harder, not a benefit to me because I do not like long nails, I simply clip them more now. I felt light in my gut and intestinal tract after three days of the cleanse, it works wonders. HUGE Bonus - I suffer from horrible migraine headaches and have not had one single migraine since I began taking DE. I typically have one once or twice per month lasting 3 to 5 days, it is life consuming. I am thrilled DE maybe my remedy. Chat about Diatomaceous Earth - Regarding that gross ad above, sorry Google Ad, but anyway Diatomaceous earth eliminates the function and presence of such vile creatures from your gut. Just for amusement - diatomaceous earth (diatomite) is the secret ingredient which changed unstable nitroglycerin to widely used dynamite. It made its inventor Alfred Nobel a very rich man and is the base of the most prestigious prize in science - Nobel price. Angela, Diatomaceous Earth is very handy. I use it all the time for various reasons. Yes, I agree Google does go beyond what I would be interested in in terms of what may or may not relate to my interest. Annoying. My sister and a friend both use Diatomaceous Earth for their pets. I'll have to borrow some of theirs to try for myself. P.S. Google does put some gross ads out. However, my ad is about a service I used recently, which irritates me because I know I'm being tracked. katiem2, Thank you for all the great applications and explanations! I know of the pesticidal effectiveness of diatomaceous earth so all this makes sense. Also, I like the possibility of having fingernails a bit beyond the quick and of minimizing migraine headaches. jptanabe, Maca is amazing, it is thrilling to learn of the many natural methods to remedy what ails you. I had heard of this stuff, but had no idea it had so many great uses! You have certainly encouraged me to check it out. dustytoes, It is an amazing little gift from nature that does so many incredible things. Mira, No where in the product information that I found indicated Diatomaceous would cure migraine headaches, I suspect that by detoxing and removing things like heavy metals etc that it eliminated my migraines. Not sure why it worked for migraines but it has.